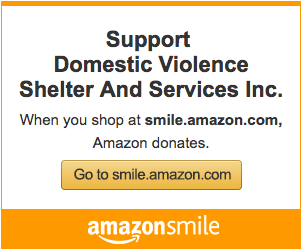 Donate – Domestic Violence Shelter and Services, Inc. Your donation will be used to help domestic violence victims and their children, victims of elder abuse, teen dating violence and other forms of domestic violence. We could not do the job we are doing without the help of people like you. **Please check “Share My Address with Domestic Violence Shelter and Services” on the next page to ensure receipt for your tax-deductible donation. Thank you for your support! Click here to learn how to erase your browser history.